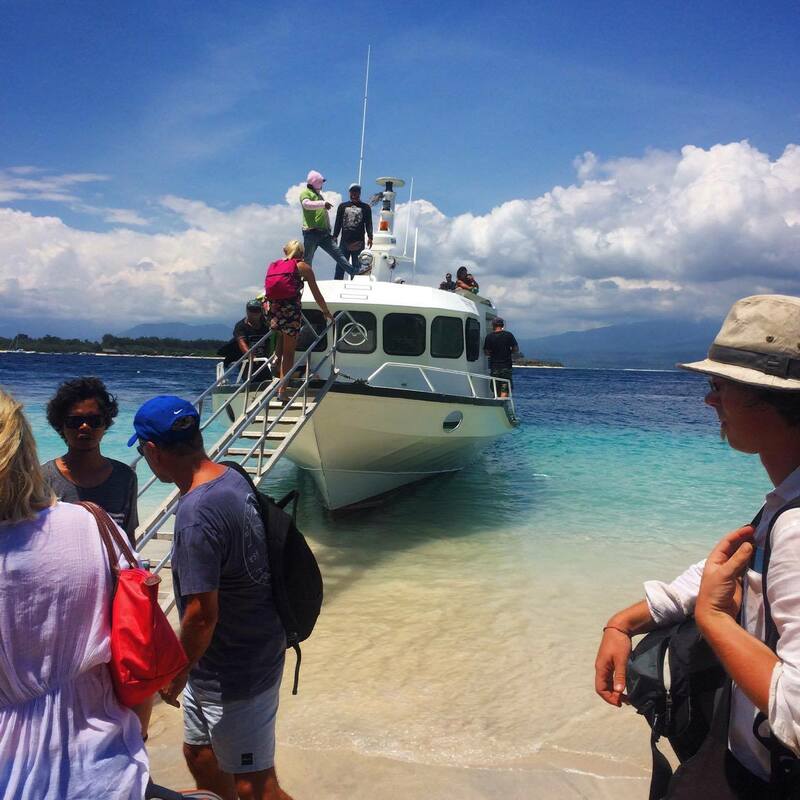 Getting to Gili T (as it’s more fondly known) is pretty easy, even if it feels time consuming. 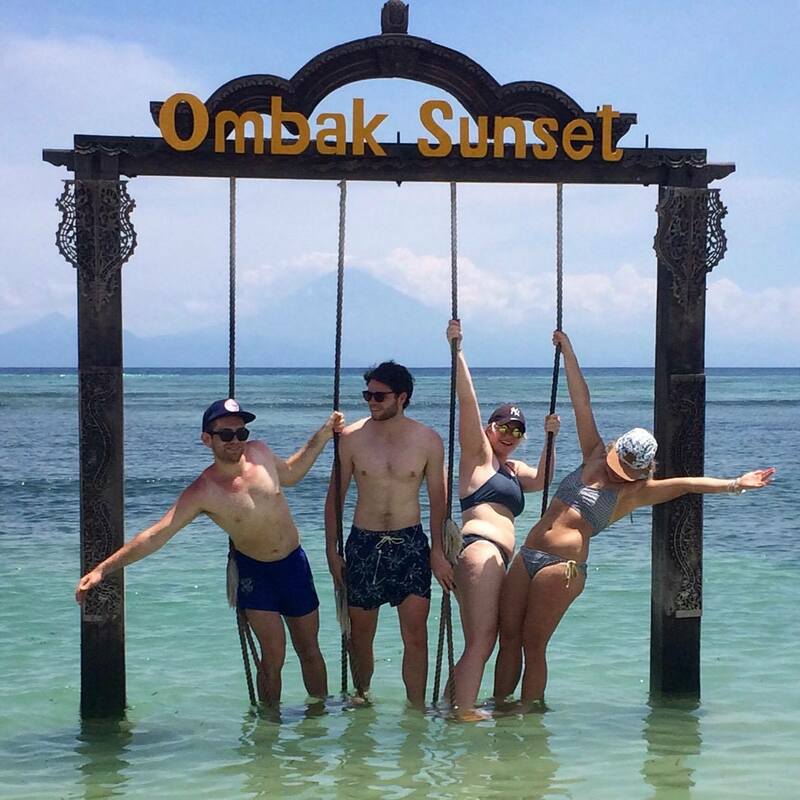 Most places you visit in Bali assume that visiting the Gili islands will be on your itinerary somewhere, and can suggest, and even organise, your means of transport. Our hostel in Canggu organised ours. It was pretty confusing: we got picked up in a shuttle van and driven around a bunch of places picking up people, but our driver did seem quite lost so maybe that is why it took awhile. It was hard to tell what was going on, we just had to trust he would get us to the ferry on time. We arrived at Pai Beng and with hundreds of other people, joined the queue. Again it was hard to tell quite what was happening, and when we finally climbed aboard, we were all a bit reluctant to part with our bags – which were taken from us to be stashed on the top of the boat. A little over 2 hours later, we finally arrived. 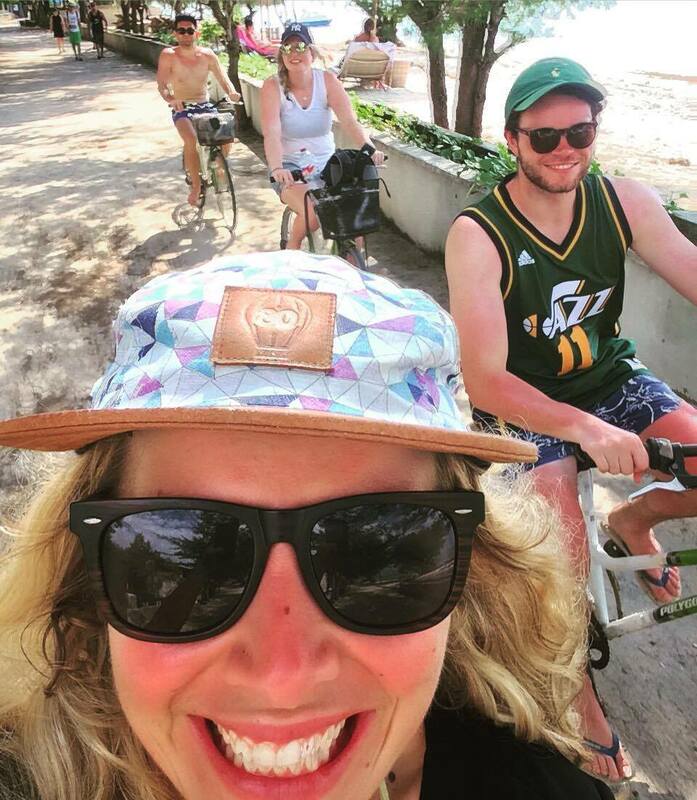 1 Hire a bike and cycle the island. It is possible to walk it, but biking gives you so much more freedom to take your time and stop at the different beaches, without ever being too far from the finish line. It probably takes about 2 hours to cycle it (at a meandering pace) and would definitely take less if you didn’t stop at all. 2 Outdoor food market. Occurring each night, it is possible to sample local Balinese deliciousness at incredibly cheap prices. There are both sweet and savoury options and is always bustling with locals and tourists alike. Be a little bit careful though; no-one wants Bali belly whilst on holiday! 3 Sunset swings. Probably easiest to do as you are cycling around the island, but you may need to plan ahead if you intend on cycling in the dark. You can’t go to Bali and not get a photo with these iconic beauties! It isn’t essential that the sun is actually setting when you snap that shot, but it is pretty important to make sure the tide is high enough that the swings actually have water below them (and not just grotty sand). 4 Experience the night life. There are a bunch of cool bars and clubs dotted along the waterfront which are sure to provide a good time. 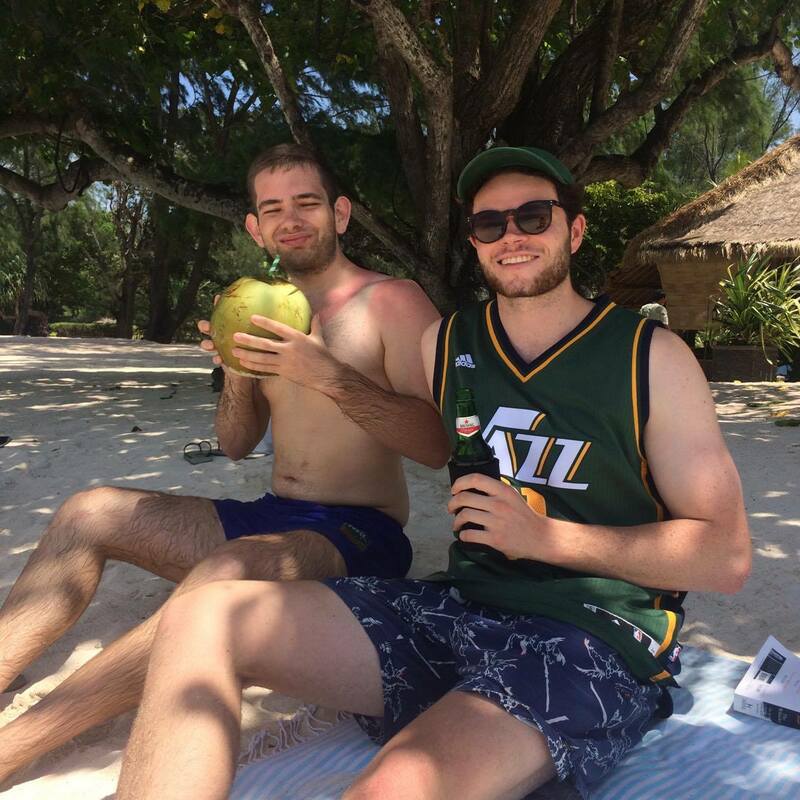 We were pretty careful with our drinks, sticking basically to beer (and almost exclusively Bintang). There is a place which is set up entirely for beer pong, and you get free popcorn (as if you needed any more incentive!). Sama Sama Reggae Bar (turns out you can actually stay here too) was a real highlight; great atmosphere + live music = great combination for a fun night out! 5 Sign up for a snorkelling tour. Hands down one of the best things I did while in Bali, it certainly created some lifelong memories. On every street corner (and every second vendor between) are stalls with people offering a variety of tours, each one more keen than the previous one for you to sign up. Shop around, or just pick one – it doesn’t really matter, but at least once you do sign up you can tell the other vendors that. On our snorkelling trip we went to three different spots as well as Gili Air for lunch, and we were fortunate enough to spot several sea turtles. The trip goes for about 5 hours and it is ideal to go in the morning in case the wind picks up. 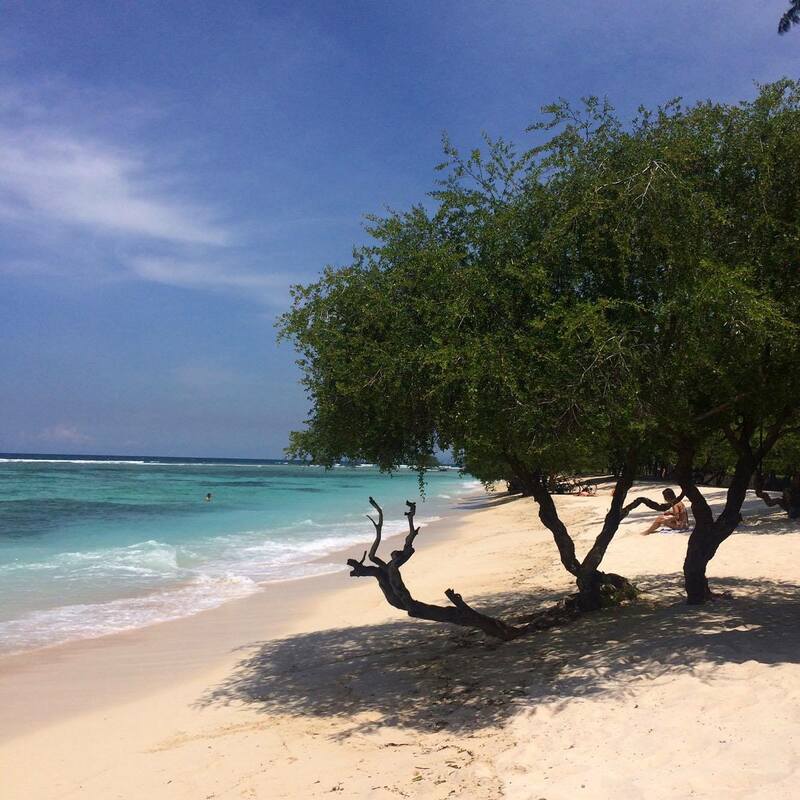 6 Gili Air is only a short boat ride away and Gili Meno is even closer. Gili Meno is the smallest of the three islands and basically consists of a turtle sanctuary (it was off the coast of Gili Meno that we swam with turtles). 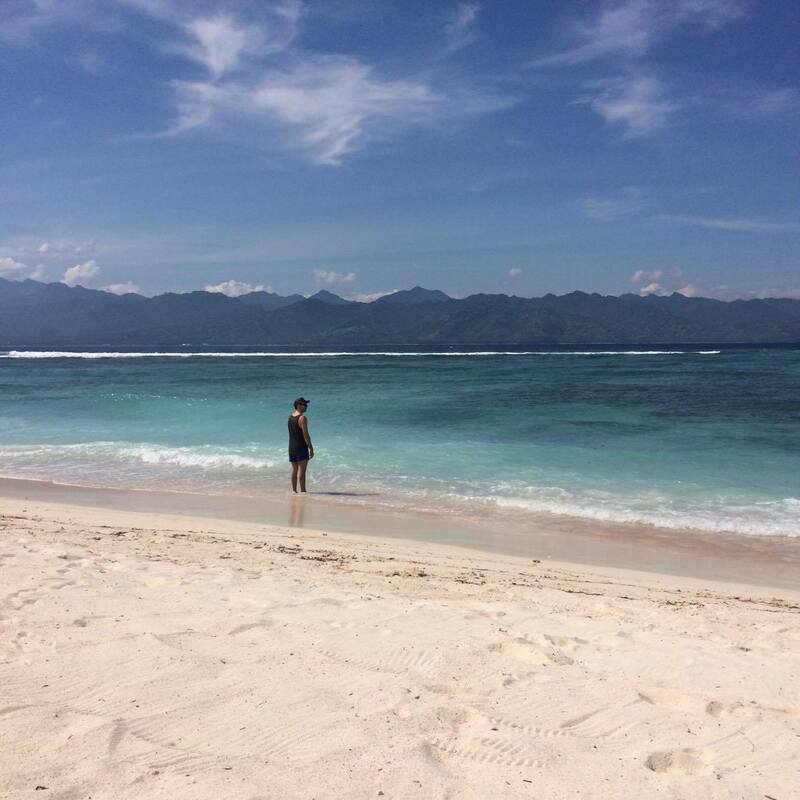 Gili Air is larger, and is known to be more serene and beautiful than Gili T. It is popular with those looking for more of a peaceful retreat. Even though we didn’t spend too much time here, it is somewhere I would seriously consider staying next time I’m in Bali. 7 Gili Yoga. It was a lovely way to begin the morning, especially when we finished it off with breakfast at The Banyan Tree next door. There is an abundance of healthy options on Gili T (and of course, some not so healthy options too), you can read my post on food on Gili T here.